Heat the oil in a skillet over medium heat. 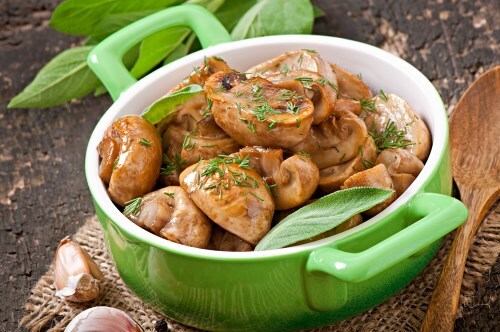 Place mushrooms in the skillet, season with Italian seasoning, and cook 10 minutes, stirring frequently. Mix the wine and garlic into the skillet, and continue cooking until most of the wine has evaporated. Season with salt and pepper, and sprinkle with chives. Continue cooking 1 minute.